According to the deejay, born Michael May, Miley stole his lyrics for her 2013 smash hit “We Can’t Stop” and that song helped her became a megastar. The suit was filed in a New York court on Tuesday of this week and the legendary Jamaican dancehall deejay is asking for an ambitious sum of US$300 million. Gon was a popular dancehall artist in the 1980s and early 90s. 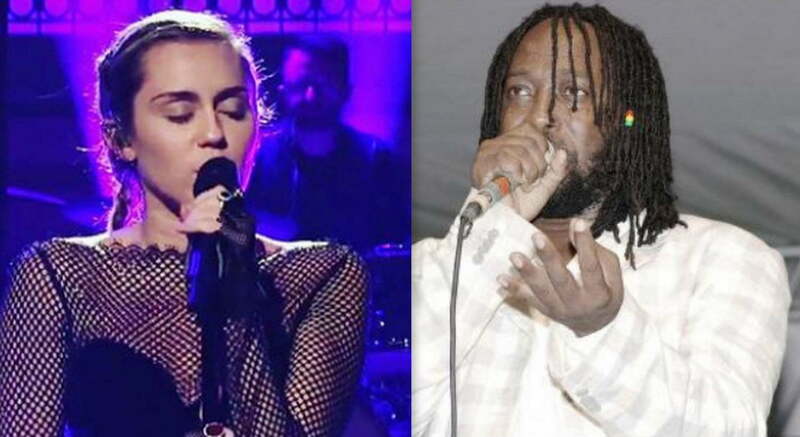 In his lawsuit, the deejay argued that Miley Cyrus released the song at a pivotal moment in her career when she was transitioning from Hannah Montana from the Disney series into a more edgier and sexually charged pop star. He also argued that the lyrics has distinct roots in Jamaican culture and carries a unique meaning in Jamaican Patois that would not be grammatically correct when translates into English. The single “We Can’t Stop” is certified platinum and peaked at No. 2 on the Billboard Hot 100 chart in 2013. Flourgon and his legal team are also asking the courts to stop Miley Cyrus from further performing and profit off the single. The pop star has not yet responded to the lawsuit. You can listen to both songs below and judge for yourself if they have enough similarities to win this gigantic lawsuit.